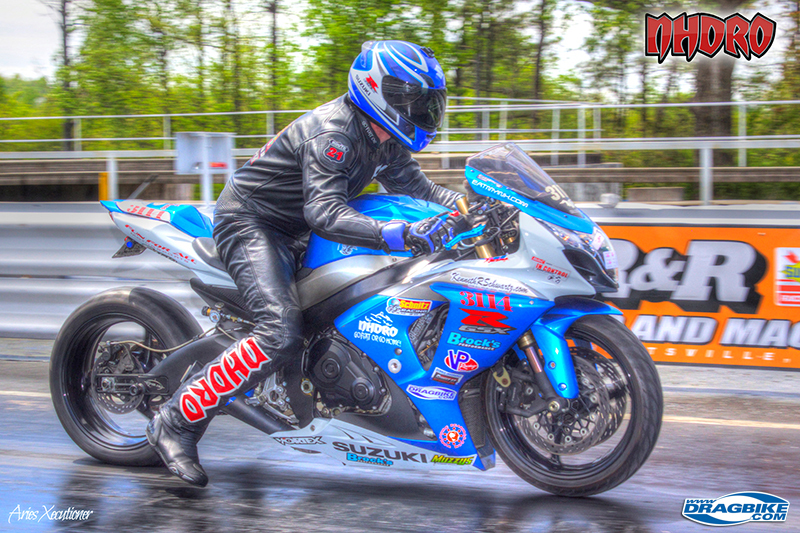 With the 2016 motorcycle drag racing season about a third of the way complete, it’s time we visit the fastest growing competition between sportsman racers. 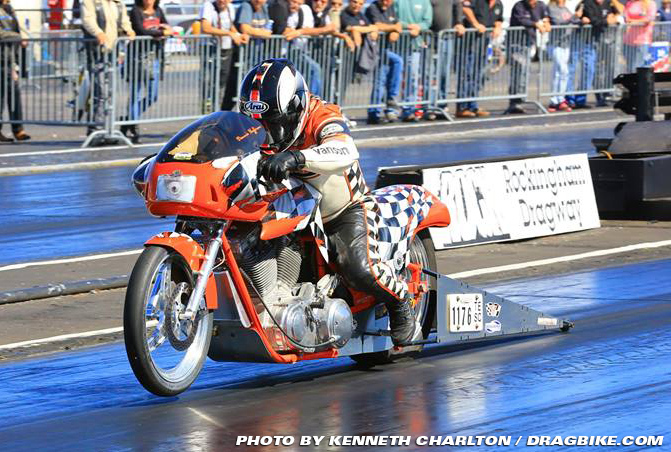 Affectionately coined “BAMF”, the Dragbike.com competition ranks sportsman racers throughout the year based on their wins, runner-ups, and championships to determine the overall best racer throughout all series. Aside from having the ultimate bragging rights for the year the winner walks away with over $3,000 in cold hard cash and a badass one-off custom trophy built by the talented Cold Hard Art (terrible pun on words used here). In the inaugural year it was all-around talent Jeremy Teasley taking home the title in a hard fought battle. Last year’s title went to bracket/index specialist Dustin Lee with an overwhelming point’s total of 46…. a total that might stand for quite some time. Lee’s closest opponent in 2015 was AMRA standout Donnie Huffman, who had a still impressive total of 32 points (which would have secured him the title in 2014). So with roughly a third of the season completed, it’s not surprising to see Donnie Huffman leading the charge in front of former BAMF’s Lee & Teasley who are in a three-way tie with John ‘Spooky’ Markham with 7 points each. Huffman has eight points already based solely off his 4 wins and is the only rider in the top 10 with only wins to his credit. If you’re not familiar with Huffman you should really check out an upcoming AMRA race, where you’ll see him enter not two, not three, not even four classes, but sometimes up to five different classes in one race weekend. It’s certainly not uncommon for Donnie to win multiple classes during one weekend, but his biggest hurdle in the BAMF competition isn’t even the fact that he almost exclusively runs one series. The AMRA is one of the only Harley series left still alive and getting the required 16 bikes per class to count for BAMF is sometimes the challenge presented to Huffman. 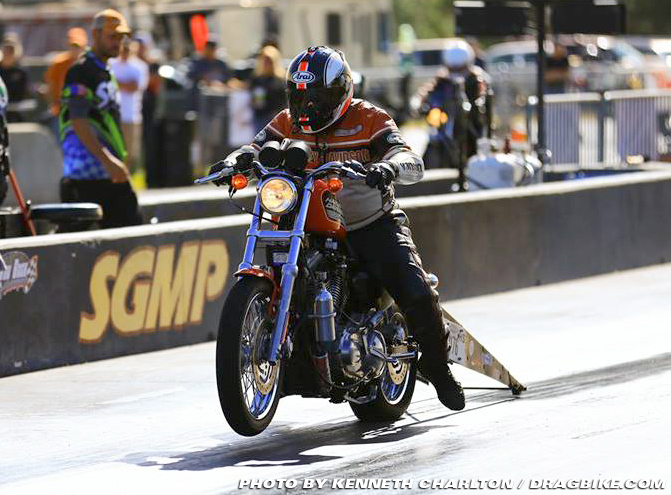 However, that certainly doesn’t deter this veteran racer from going after the now coveted BAMF title for the second year and he certainly seems to be on the right track for 2016. With names like Lee, Teasley, and Markham tied for second place it’s easy to see that this competition will be anything but easy for any racer to win and it’s certainly not looking like a runaway year for any one racer. 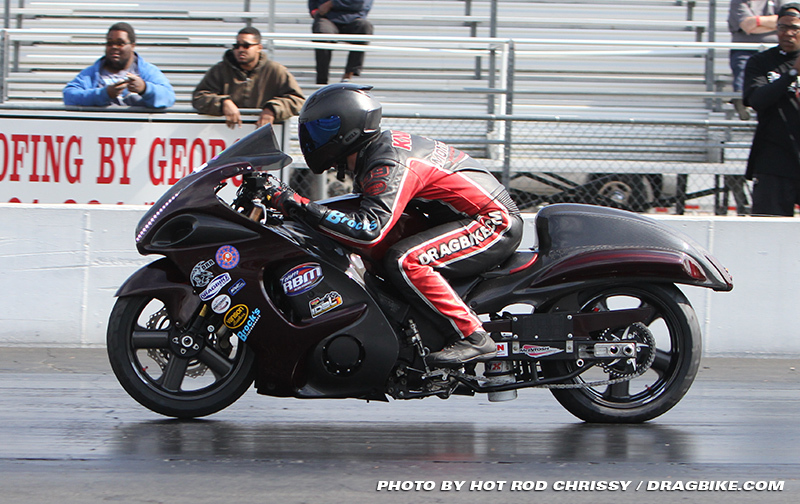 Tied with the former BAMF’s is veteran Kentucky racer ‘Spooky’ Markham who caught the bug early this year and is quietly working his way to final round appearances. But the challengers don’t fall off after fourth, tied for fifth and sixth position are Ben Knight & Ron Arnold with six points each. Knight has had his eyes on the BAMF title ever since helping to co-create the competition; however he has finished third in both his previous attempts. 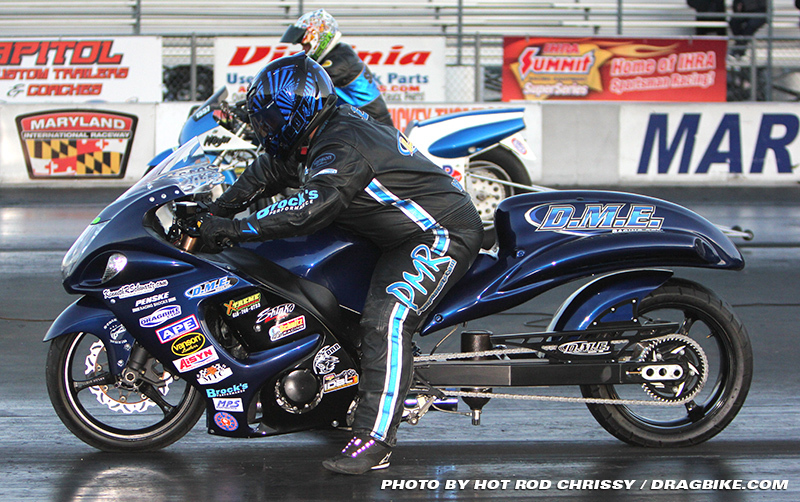 Things were looking up at the recent NHDRO race with three final round appearances until an unfortunate top-end crash in the Top Gas final. It’s hard to say how that will affect the rest of his season. Maybe the most overlooked racer in the top ten is Ron Arnold himself, who fiercely battled Teasley during the last race of the season in 2014 to finish a close second. 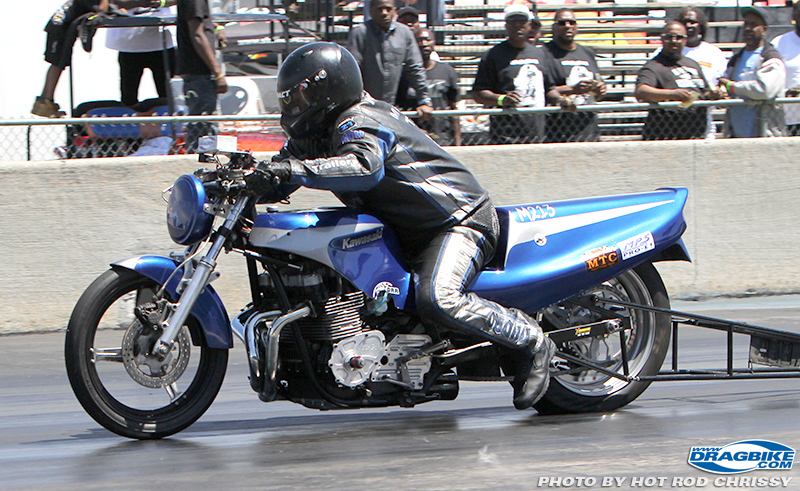 Known as ‘The Professor’ to his peers and teammates, Arnold has amassed six points solely off the three NHDRO races he has attended this year… will he once again make a run for the title and start traveling to other series to chase the title of best sportsman racer in the country? With the season just hitting full throttle the 2016 BAMF might not even be one of the aforementioned racers, because as all racers know anything and everything can happen during one lucky or unlucky race weekend. 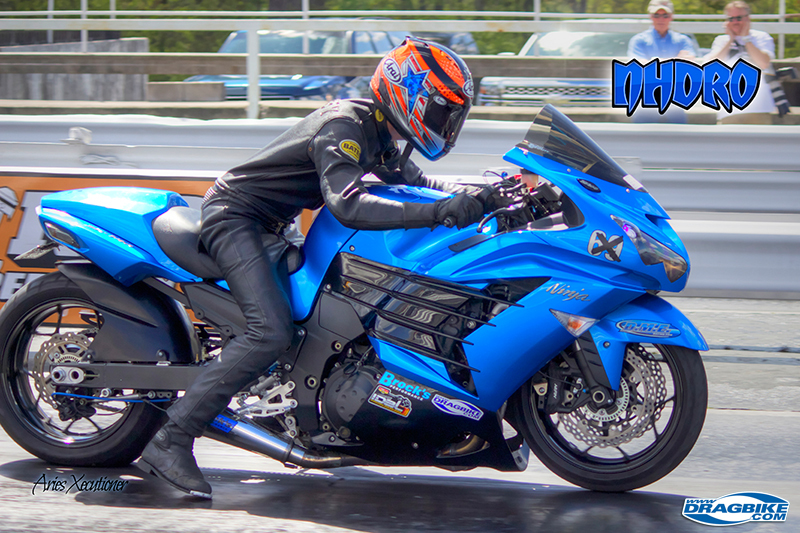 Please be sure to check out the wonderful companies who sponsor this competition which is dedicated completely to the backbone of motorcycle drag racing – SPORTSMAN RACERS.